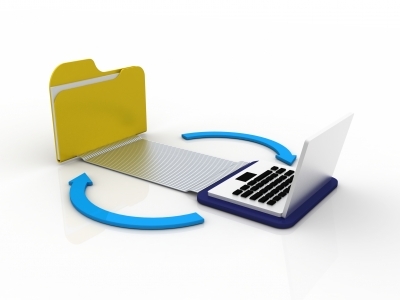 Converting physical records to their digital counterpart can seem a daunting and expensive task; especially when you consider the fact that your company may not need every physical file it has kept. While the traditional imaging process encompasses all files and records your business possesses, Williams also offers a hybrid service called Scan on Demand that may better suit your company’s needs. Scan on Demand is a solution that enables your company to store its physical records securely at our 24/7 monitored Records Center, and request files as needed to be scanned, digitized, and sent over to your business within a requested time frame. The process is as simple as requesting which document is needed; we will then retrieve, prep, scan, index, and deliver the document per the time frame your company requests. We know what you’re thinking… why would my company want its files scanned when things are working ok the way they are now? Well today, running a business on paper is becoming increasingly costly and slow. A study by the Association for Information and Image Management (AIIM) found that two-thirds of surveyed companies felt that the slow processing pace for paper will become unsuitable for businesses in a few years. In another study by the International Data Corporation, 62% of businesses believe that the slow system of processing papers prevents them from making as much revenue as they potentially could. With the rise of high speed internet and technology, such a pace is no longer acceptable. Clients expect procedures to be streamlined and efficient, and going digital allows a company to do just that. Companies that better meet customer needs will no doubt see an increase in customer satisfaction and efficiency. If your company is struggling with how it is going to transition its information to digital format, Williams can help. Get in contact with Williams Data Management for a free, no obligation consultation to discuss what direction would best suit your business needs. Our team of certified professionals will be there every step of the way to help you through the process you decide is best for your business. To learn more about how Williams Data Management’s imaging services can benefit your business, contact our team at 888.920.4549 .